Super Mega Baseball 2 looks a lot different from the original, but I’ve never played a sports video game whose sequel felt as familiar as its predecessor. That’s good. 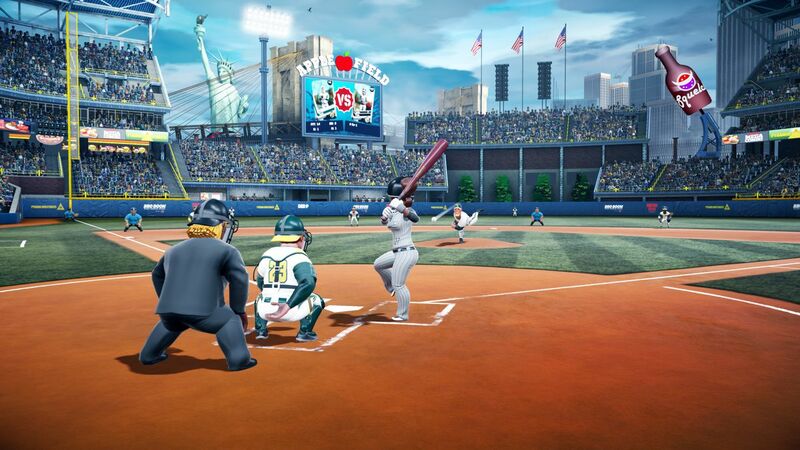 For a genre where year-to-year sameness is a kiss of death for the licensed big boys, Super Mega Baseball 2 has the liberty of celebrating its recognizable appeal rather than piling on extra details like so many burger condiments. When Super Mega Baseball stole my heart at the end of 2014, I ended up logging more than 150 games with one team, the Wideloads. If there is a National Super Mega Baseball Hall of Fame, I am going into it with that hippopotamus logo on my cap. There are two new faces on the squad, and a few changes that seem to acknowledge what I’d learned about the ’Loads over the course of my time with them. But I’m picking up right where I left off. In the new roster, Chugg Burbony has taken over as the staff ace, the role he claimed in season one. The closer, Rogan Balls, has been relegated to setup duty, where he always belonged. Janus Friedman is still a moping waste of time. Masha Donga is still the ssh-don’t-tell weapon at leadoff. It feels like the sequel to a sports movie, a lovable ensemble back with everyone in character. Super Mega Baseball 2 arrives at this familiarity by subtraction, not addition. There are new systems to contend with, such as injuries and general wear and tear, which deepen the intrigue. There’s online multiplayer, which the original game agonizingly lacked, and endless customization options for uniforms and league alignments (including a slew of out-of-the-box new teams to stock a custom league). 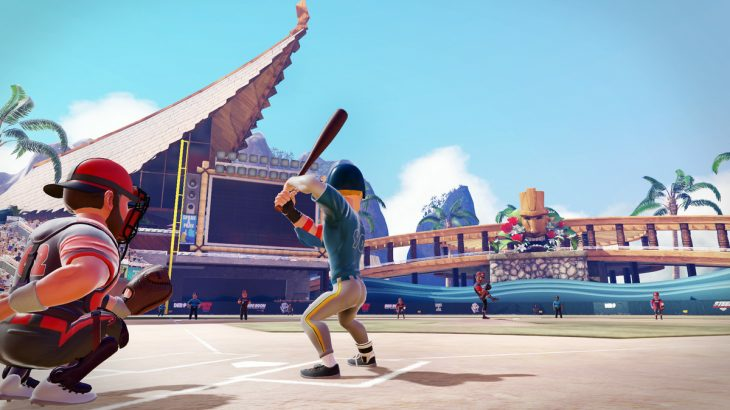 But in my initial play of the season mode, I found that I would lament the absence of something I really liked in the first Super Mega Baseball. Then, after about four games, I’d discover that I didn’t really need it to enjoy what is, at its core, a fantastic-playing game of baseball. Take Mojo, the franchise’s defining trait, which can boost (or lower) a player beyond their attributes. In the first game, players had individual Mojo ratings, which most notably affected them in high-pressure situations. Harmony Straus, for example, would go super saiyan in any extreme circumstance, maxing all of her batting ratings thanks to her Mojo attribute. That’s now gone. She won numerous games for me in late innings because of the old Mojo system, and without that I almost considered benching her for Clutch Cormen, who has higher batting skills. But I stuck with Straus out of loyalty — she also looks cool as hell in the sequel’s updated visual style, with those shades underneath her catcher’s mask — and I was rewarded. 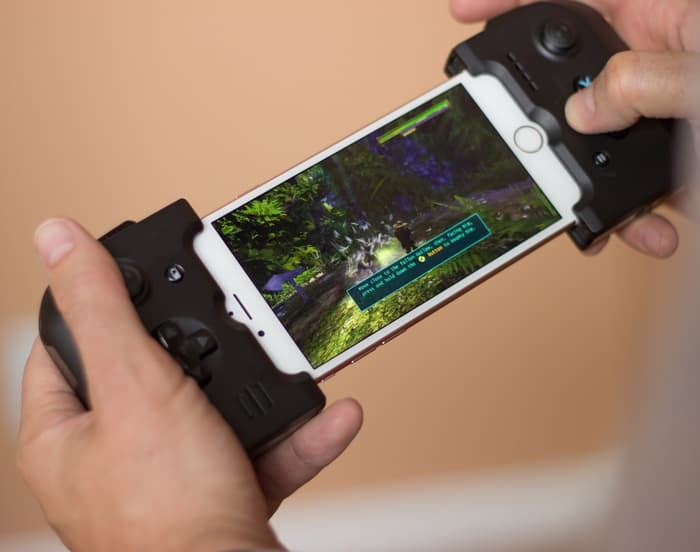 Mojo is still there; it’s just driven entirely by in-game performance. In the third matchup against our nemeses, the ridiculous Crocodons, she hammered a two-run blast in the top of the ninth to knot the score. Moreover, it got her to “locked-in” Mojo status for the next game. Mojo in Super Mega Baseball 2 makes me pay attention to what my players are doing more than I had to before. Pitching, likewise, has a lot of cushion taken out of it now that pitchers have a more realistic repertoire of three to five pitches instead of access to all eight types. In the first Super Mega Baseball, Burbony had great velocity and decent junk ratings. He could do it all, but he seemed to have no real personality on the mound. Burbony could whip out a forkball in a pinch, and it was utterly unfair. (It would be even more unfair in online multiplayer.) I went scratching for the forkball like a phantom limb when I had a runner on in the seventh inning against the Platypi. Chugg now has a five-pitch makeup, which is very generous, but it comprises the slider, a cutter, a change, a two-seam fastball and the four-seamer. I worked to Burbony’s strengths and backdoored the hitter on a 2-2 count. The experience kept me mindful that pitchers now have more of a “type” than they did in Super Mega Baseball. If they throw a pitch that is outside of their strength, and it’s poorly rated or poorly placed, it will be hit a mile, especially at higher difficulties. Junkballers who try to sneak fastballs in will routinely get them pounded in ways they did not in the first game. I’m not happy that decently thrown low strikes seem to launch out of the park with almost unreasonable frequency; the risk of throwing there effectively makes a third of the strike zone unavailable to me in pressure situations. Still, pitching is now a more thoughtful and perilous phase of the game, and the pitching mechanism is still the best one I have ever used in any baseball video game. And then there’s the team staff from Super Mega Baseball. It’s no more. This had me agonizing when I could not find the season mode’s staff menu, and its billboard of buff slots for my roster. The staff, where I hired trainers, agents and coaches on a contractual basis, getting this or that boost and dealing it out to a player in the process, was one of the original game’s most novel approaches. I even called for R.B.I. Baseball’s makers to add something like it to their next game, and now it’s gone. But it’s compensated by a more volatile Mojo in the middle of the game, and Mojo’s carry-over to succeeding games. Instead of managing my players by doling out treats, I’m paying more attention to their streaks and slumps. Hack Liner, with the best combination of hitting attributes, went into a slump early in my first season. Meanwhile, Wade Hobbes, who had underperformed for me in Super Mega Baseball, opened at a furious .700 clip in the seventh spot. I swapped their positions in the batting order to give Liner a chance to hit his way out of misery. We won seven games to start the season, and by the end it was remarkable to see opposing pitchers doing everything they could to avoid Hobbes in the third spot. Thanks to Super Mega Baseball 2’s hitting system, I could sit on high pitches outside the zone and still smash them for base hits. This isn’t to say Super Mega Baseball 2 adds nothing, even in gameplay. The injury and fitness system combines with the existing Mojo, mood and situational notices (high pressure, low, etc.) to really draw out the manager in me as much as it does my inner player. Injuries, which I did not expect, come up with a brief notice, and that’s it. I was not taken to a lineup page, or even given a suggestion that I replace the player. I could have left Chimo Gaspar in with a dislocated shoulder if I didn’t see the tiny flag on the play screen. (I also saw a CPU pitcher, whom I hit in the head with a line drive, linger in the game in an extreme injured state for four batters before he was removed.) Catchers wear down game to game, meaning I had to give Straus a day off about 10 games into the season. Little touches like this push at the “arcade game” label given to the Super Mega Baseball franchise. At any rate, it is way more of a simulation than R.B.I. Baseball 18. There are fresh faces on my team (a new closer, if I wanted to take that job away from Molly Pops, and a left fielder with a Reggie Jackson smile) who genuinely feel like newcomers to the tight team chemistry I’ve built up on the ’Loads. The standard league features four additional teams, one for each division, and they all have bananas nicknames and wild logos supplementing them. Again, this is why Super Mega Baseball 2 feels like a true sequel: same cast of heroes and villains (lookin’ at you, Andre Candela), some new threats and interlopers, and a new journey to enjoy. With the help of a bot, a Pokemon Go player has hit level 40.